Hopfenberg, R. (2011). [Review of the book A Cybernetic View of Biological Growth: The Maia Hypothesis., by Tony Stebbing]. American Journal of Human Biology, 28, 826-830. Hopfenberg, R., Pimentel, D. (2001) Human Population Numbers as a Function of Food Supply. 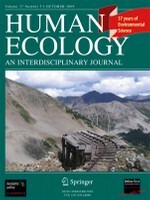 Environment, Development and Sustainability 3: 1–15.